A Principal With Principles Speaks Out! This lack of transparency was one of the driving forces that led the teachers at my school to call for a protest rally the day after the test, a rally that attracted hundreds of supporters. More than 30 other New York City schools have scheduled their own demonstrations. I want to be clear: We were not protesting testing; we were not protesting the Common Core standards. We were protesting the fact that we had just witnessed children being asked to answer questions that had little bearing on their reading ability and yet had huge stakes for students, teachers, principals and schools. (Among other things, test scores help determine teacher and principal evaluations, and in New York City they also have an impact on middle and high school admissions to some schools.) We were protesting the fact that it is our word against the state’s, since we cannot reveal the content of the passages or the questions that were asked. Teachers and administrators at my school have spoken out against the overemphasis on testing for years, but our stance is not one of “sour grapes.” Last year we were one of the 25 top-scoring schools in New York State. We have implemented the Common Core standards with enthusiasm, and we have always supported the idea that great teaching is the best test preparation. But this year’s English Language Arts exam has made a mockery of that position. It is frightening to think what “teaching to the test” would mean, given the nature of the test. We won’t do it, but some schools will, or at least will try, despite a new state law that mandates that schools limit test prep to 2 percent of instructional time. How does one even begin to monitor or enforce such a mandate? Over the past few years, as higher stakes have been attached to the tests, we have seen schools devote more time to test prep, leaving less time and fewer resources for instruction in music, the arts, social studies and physical education. This is especially true for schools with a high proportion of low-income students, who tend to do worse on the test, and whose teachers and principals have to worry more about the scores. At Public School 321, we entered this year’s testing period doing everything that we were supposed to do as a school. We limited test prep and kept the focus on great instruction. We reassured families that we would avoid stressing out their children, and we did. But we believed that New York State and Pearson would have listened to the extensive feedback they received last year and revised the tests accordingly. We were not naïve enough to think that the tests would be transformed, but we counted on their being slightly improved. It truly was shocking to look at the exams in third, fourth and fifth grade and to see that they were worse than ever. We felt as if we’d been had. For two years, I have suggested that the commissioner of education and the members of the Board of Regents actually take the tests — I’d recommend Days 1 and 3 of the third-grade test for starters. Afterward, I would like to hear whether they still believed that these tests gave schools and parents valuable information about a child’s reading or writing ability. We do not want to become cynics, but until these flawed exams are released to the public and there is true transparency, it will be difficult for teachers and principals to maintain the optimism that is such an essential element of educating children. 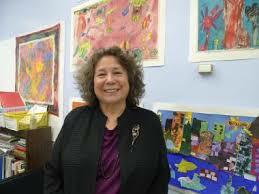 Elizabeth Phillips has been the principal of Public School 321 in Park Slope, Brooklyn, for 15 years. This entry was posted in Investigating Choice Time: Inquiry, Exploration, and Play on April 9, 2014 by Renee. We are so fortunate to have Principals such as Elizabeth Phillips who clearly puts the needs of her students and staff above all. Her actions and words give heart to those of us who are fighting in areas where there is little support. Clearly New York is the advanced guard of this very important movement to save our public schools. Thank you.